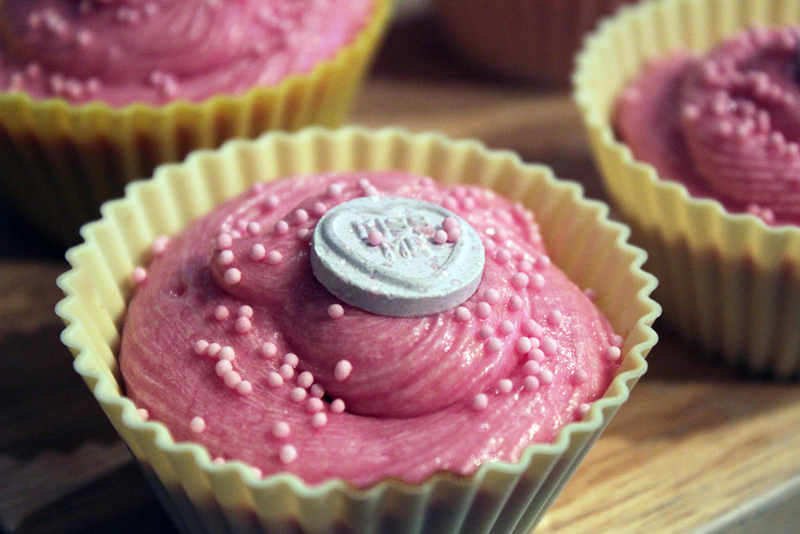 Valentines Cupcakes Part 1 | Abandon Spoon! 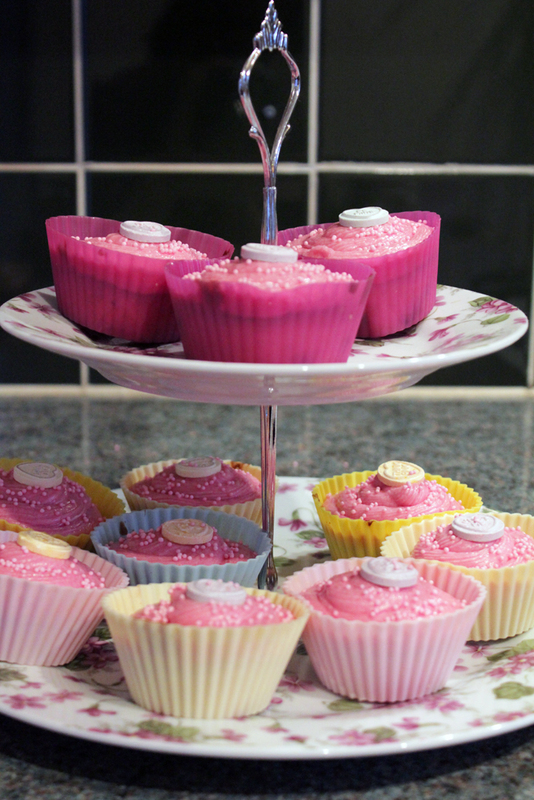 To celebrate the season of love I decided to get my bake on and make some very pink cakes. 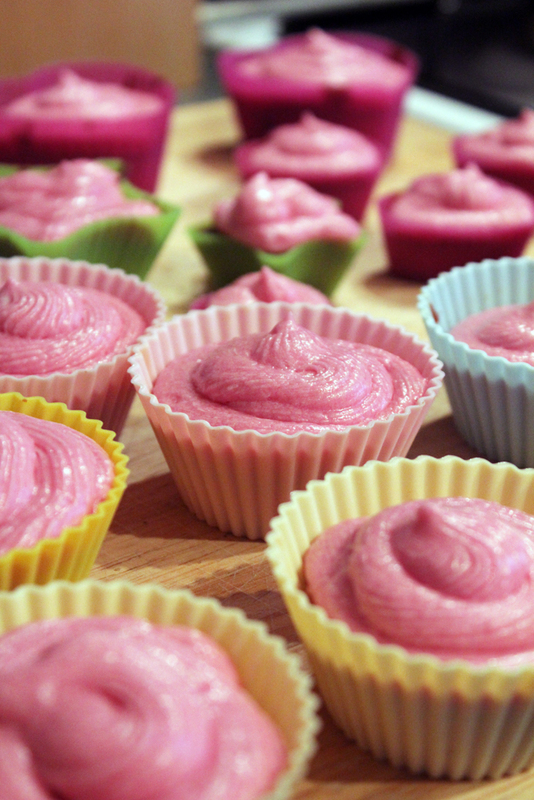 Not that I need an excuse to use pink icing. 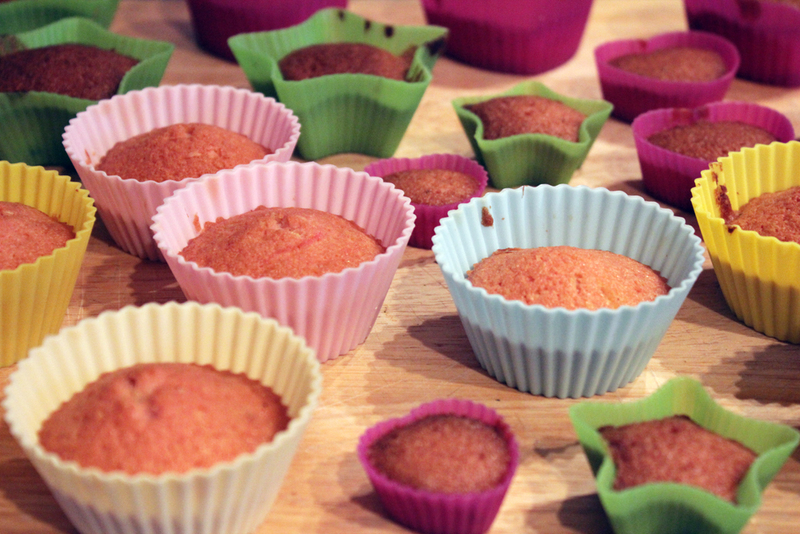 I made two different types of cake and in this post I will tell you about the first. 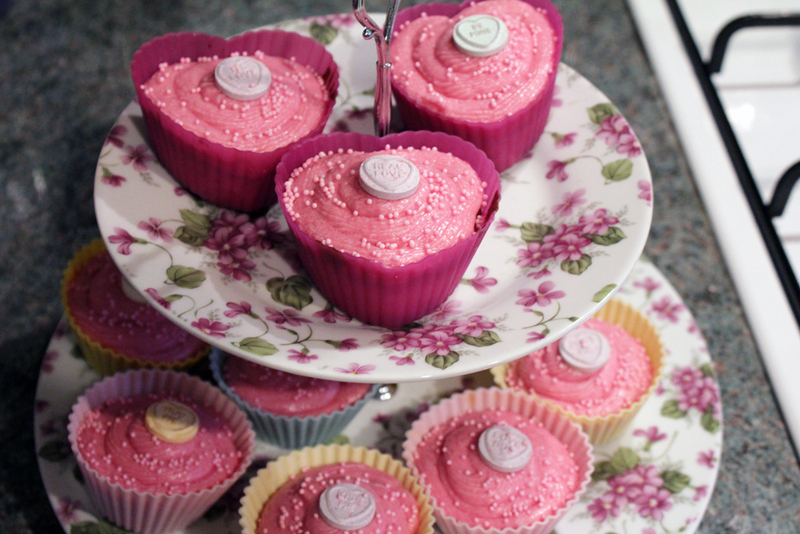 Chocolate chip and Coconut Love heart cakes. 1. Beat together the butter and sugar until creamy. 2. Beat in the eggs. 3. Gradually fold in the flour, vanilla essence, chocolate chips and coconut. 4. Divide into the cake cases. 5. Bake at 180C/350F/Gas 4 in a pre-heated over for approx 20 mins. 6. Take out and leave to cool. 7. Cream the icing sugar and butter together until light and fluffy. 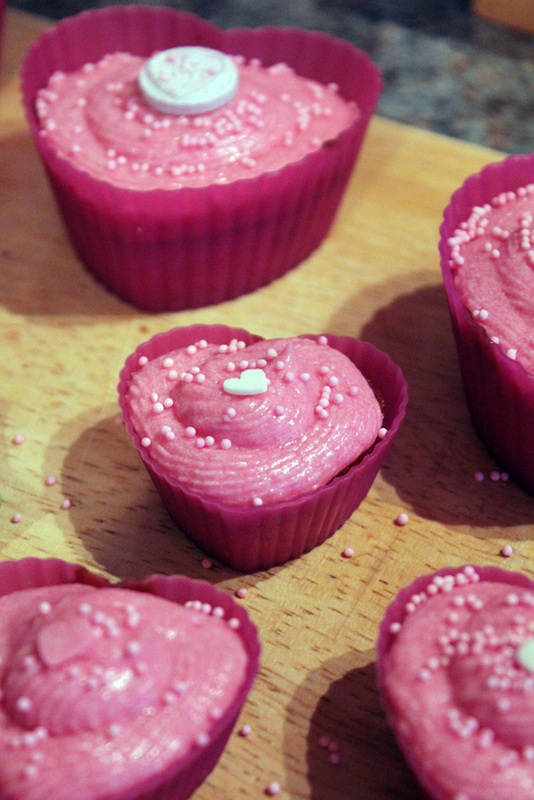 Add in the vanilla essence and food colouring. Gradually whisk in enough milk to form a smooth paste. 8. Spoon the icing into a piping bag and pipe the icing over the cake. 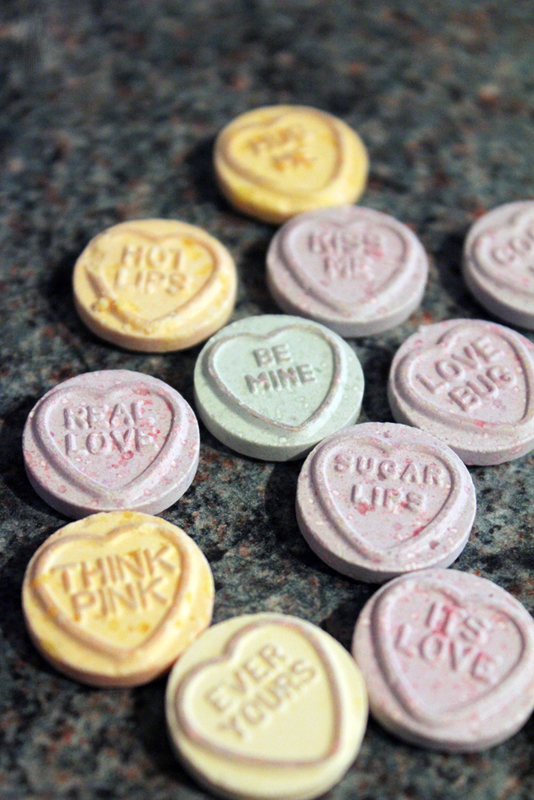 Decorate with Love hearts.